Every Christmas it has become my responsibility to make Fruit Mince pies for the family. It all started many years ago when I made my first batch. Once we tried homemade versus the store bought versions, there was no going back. The recipe below uses Homemade Fruit Mince encased in almond shortcrust pastry. If you’ve never made pastry, don’t be daunted – it is easily done in a food processor. Make the pies using either mini muffin or patty pans. The recipe will make at least 24 pies, maybe more depending on the size of your pans. I like to do some of both. 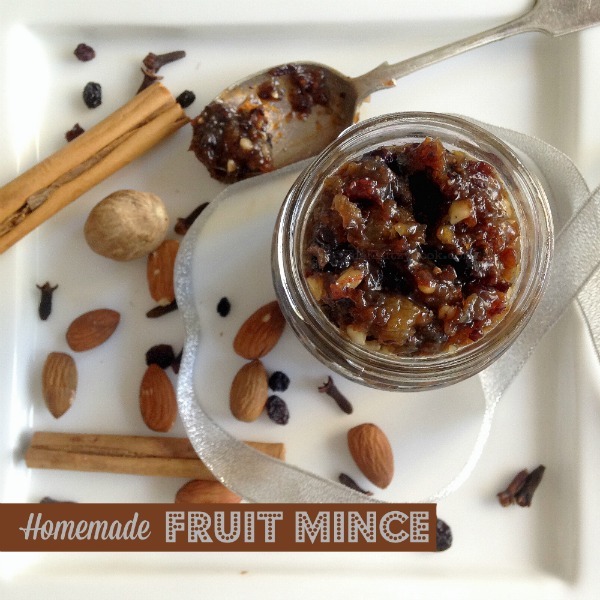 A traditional Fruit Mince Pie recipe that is a 'must make' at Christmas time. 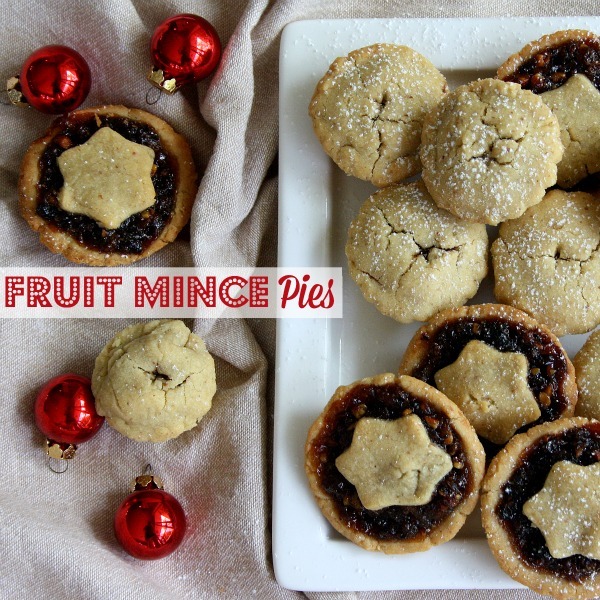 Homemade fruit mince encased in almond shortcrust pastry, these little morsels melt in your mouth. Put almond meal, flour and sugar into food processor. Pulse a couple of times until combined. Add egg yolk mixture and process until a ball forms. If the mixture is too wet, add a little more flour. If it is too dry, add a little more water. Prepare pans. You can use either mini muffin or patty pans. The recipe makes at least 24 pies (depending on pan size it may make more), so allow for this. If you only have a 12 hole pan, bake the pies in two batches. Grease pan well with butter. Take a piece of dough, around 3cm in diameter (15g). Put it into the hole of pan and using your finger, press the ball evenly onto the base and sides. Repeat for remaining holes. 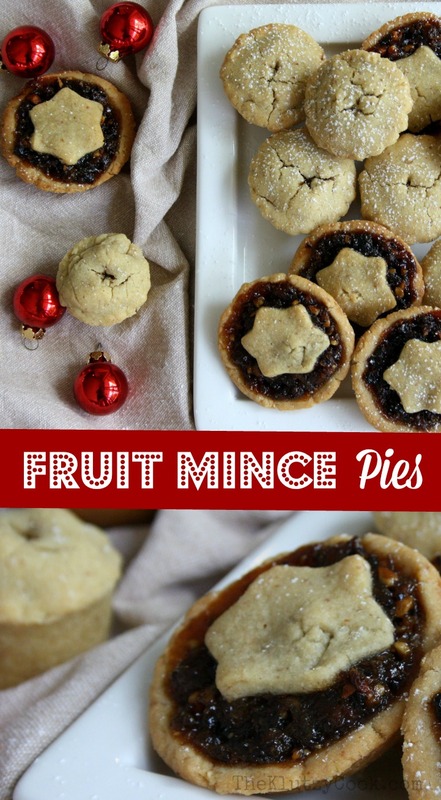 Fill pastry cases with fruit mince. To top the pies, you can use either pie lids or a cut out decoration e.g. small star. To make these, roll the dough out and cut the desired shape. Gently press onto the pie. If it's a solid lid, cut a small cross in the middle to allow steam to escape. Cool and store in an airtight container for up to 1 week.